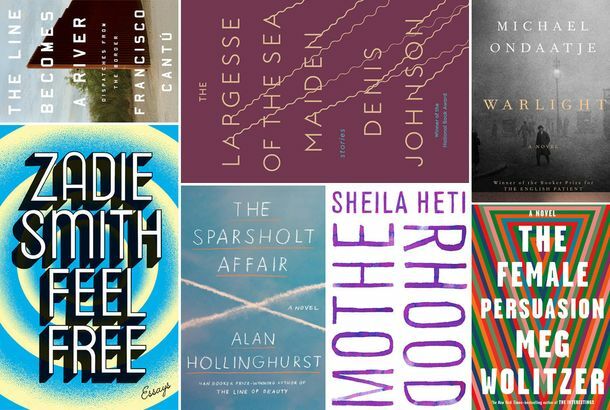 10 of the Most Exciting Book Releases for 2018Get ready for Zadie Smith, Meg Wolitzer, and more. The 12 Podcasts We Can’t Wait to Hear in 2018Marvel’s first podcast, a new season of Invisibilia, a ton of true-crime investigations, and more. 23 Exciting Theater Productions Taking the Stage in 2018Highlighted by Frozen, Angels in America, Harry Potter, and the Denzel-led The Iceman Cometh. 39 TV Shows We Can’t Wait to See in 2018American Crime Story, Marvel’s Jessica Jones, Atlanta, Blue Planet II, and much, much more. 32 Albums We’re Excited About in 2018Cardi B! Beyoncé! Kanye?! 46 Movies We’re Excited About in 2018Beloved directors return! The MCU builds to a climax! Plus, your new friends Saoirse Ronan, Tessa Thompson, and Margot Robbie will be there!